One set of Aimix dry mix mortar plant was sent to Iran recently. The following are pictures took on the installation site. 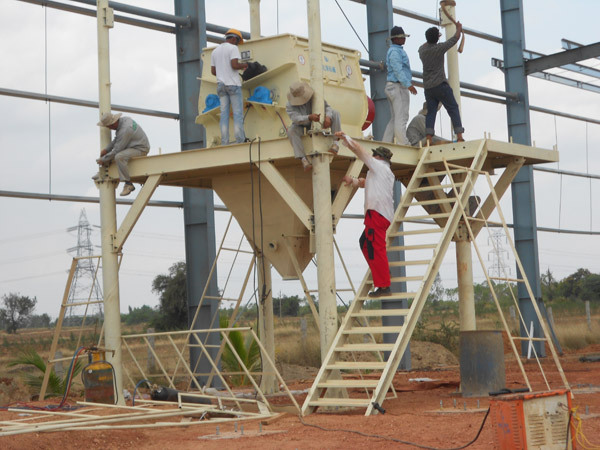 After installtion, this set of dry mortar production line will be put into use. This set of dry mortar production line is semi-automatic type. 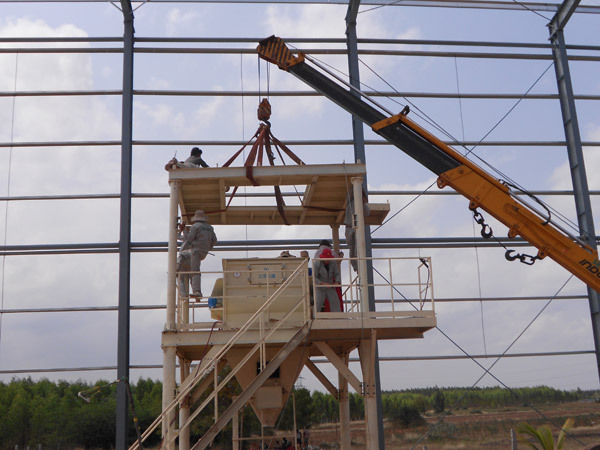 It consists of a dry mortar mixer, a finished storage silo, a packaging machine, a bucket elevator, a mixing chamber, a dust collector, an air pressure system, a sand drying system and a control system. 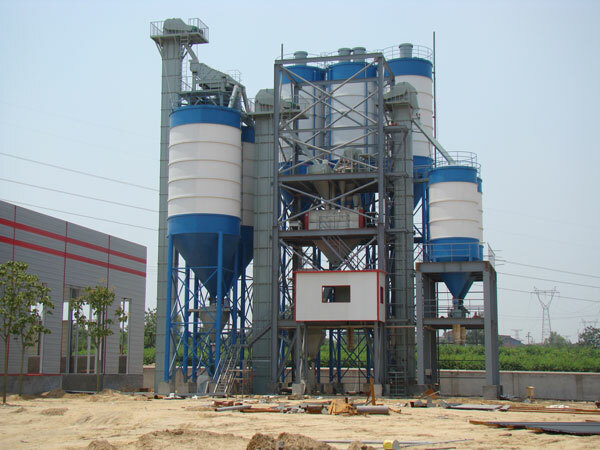 The output of this dry mortar plant is about 40t/h. it is a medium sized dry mortar plant. 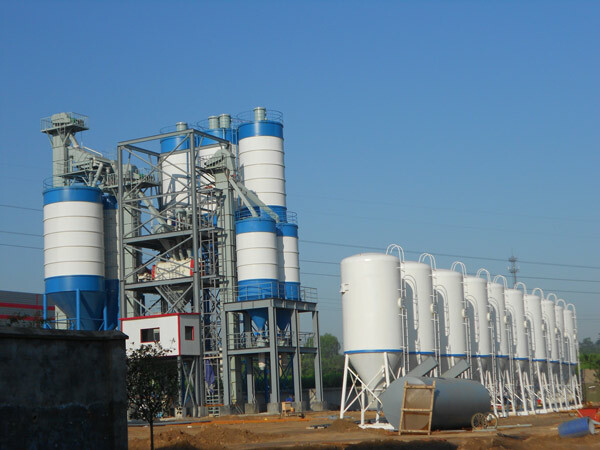 This dry mortar plant can be used to produce ordinary mortar such as masonry mortar, plastering mortar and ground mortar, special mortar such as tile adhesive mortar, joint mortar, insulation mortar, waterproof mortar, decorative mortar, colored mortar and so on. 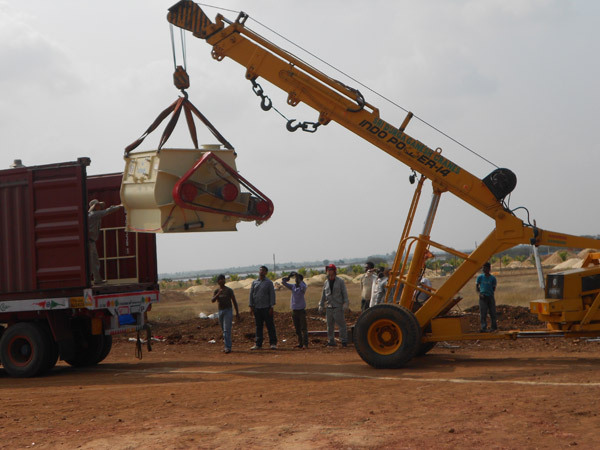 Aimix Group is a China concrete machinery manufacuter that provides concrete batching plant, self loading concrete mixer, concrete mixer pump, asphalt plant, dry mortar plant etc. We have rich manufacture and export experience, if you need any of these concrete equipment, please don’t hesitate to contact us via email sales@chinaconcretemixers.com or leave a message in the form below.